So I’m taking my cue from the poll last month and presenting 3 photos, one each from the top 3 decades for posting yearbooks. So that’s all I have on this picture. I looked briefly at the 1962 Magnet and didn’t notice this picture in it, so what was the Girl’s Precision Squad and can anyone identify the people in the picture? So all I know about this is that it’s from 1976 and it’s labelled “Teacher’s Strike”. 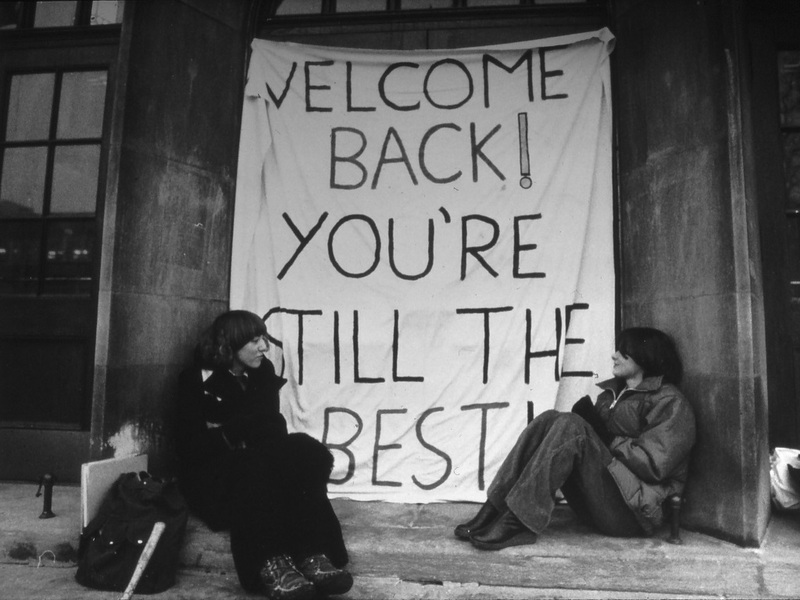 Any memories from the 1976 Teacher’s Strike? Can anyone identify the two people in the photo? #3 1980’s: Remember that time in Band Class in 1984? 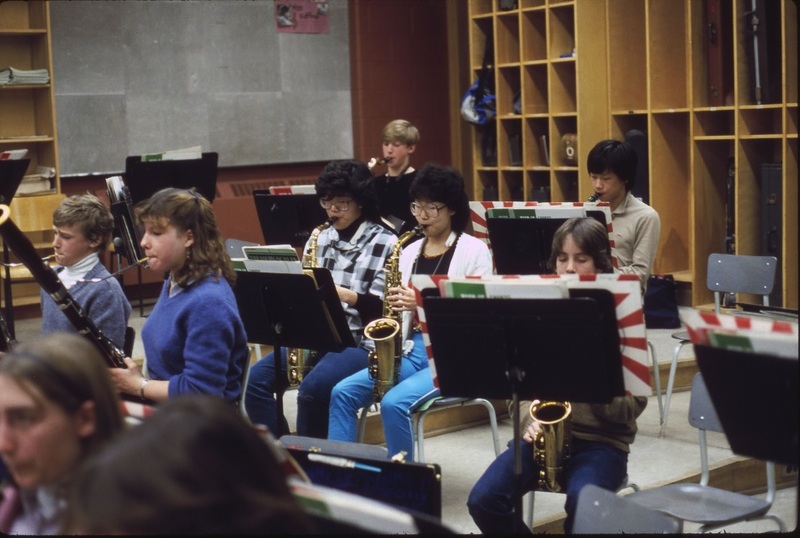 So a picture of a band class from 1984. That’s all I’ve got. 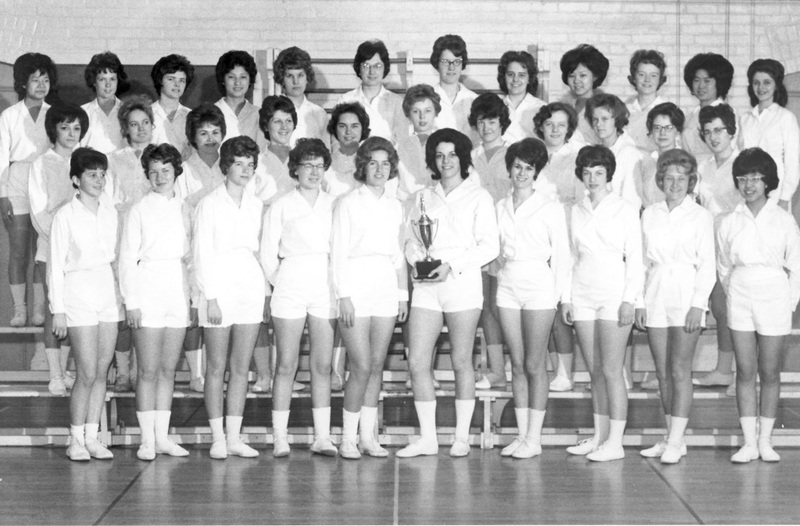 Can anyone identify the people in the photo? Any memories of band class you’d like to share?